Two with Nature brings together art, science and poetry, featuring the beautiful wildflowers of Western Australia. Ellen Hickman is an illustrator and botanical scientist and she works in aquarelle (watercolour pencils, which she uses dry). The foreword includes a most interesting description of the process that she follows: it’s painstaking work. She has a collector’s permit so she’s allowed to take specimens, but she also photographs the plant in its natural environment. Back in her studio she does a line drawing in graphite pencil, and then makes a tracing of it onto quality paper and then applies the aquarelles in layers. In many of the illustrations she also shows all the dissected component parts of the plant in Ferdinand Bauer’s classical style. He was a botanical illustrator who travelled on Matthew Flinders’ expedition to Australia on the Investigator. Hickman also describes a variety of reasons for her choices: sometimes it’s just because she likes the plant, sometimes it’s because the plants are related taxonomically, sometimes it’s because the plant has medicinal qualities or is used by indigenous people as bush food. Whatever her reasons the drawings are exquisite. The plants are fine and delicate-looking though obviously sturdy enough to withstand the brutal WA climate – and the pretty purple blooms of Solanum nummularium have some lethal looking thorns. There are watercolours of creatures too including a dear little Brushtail possum; a bearded dragon; and birds: enchanting honeyeaters, and a glorious parrot in British racing green, the Twenty-Eight parrot, so called, apparently, because that’s the sound it makes. 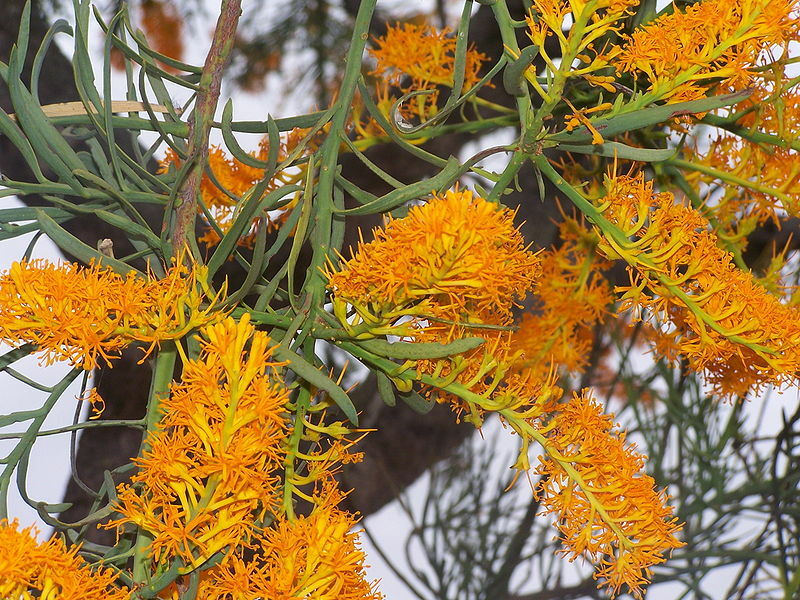 with a further stanza for each name: ghost bush, Christmas tree, tree of the dead, cabbage tree, a tree on fire and of course its Latin name, Nuytsia floribunda. 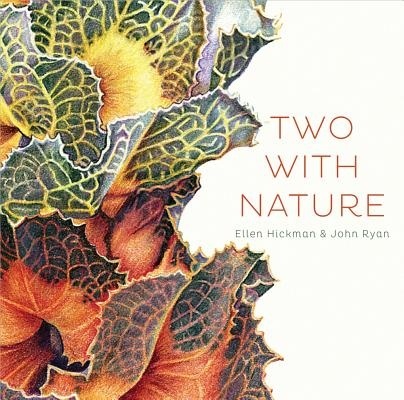 This is a book to browse through and enjoy, but the botanical illustrations are also a valuable resource for anyone with a serious interest in WA wildflowers. Two with Nature includes a list of references, a list of species and a short bio about the authors as well as their own introductory pages. Source: Review copy courtesy of Fremantle Press. What a gorgeous looking book! Botantical art is such a fascinating “genre” since it aims to be beautiful and artistic while also capturing all the details. I was at a museum recently for a completely different exhibition and stumbled on a small botanical art exhibit that was going on at the same time. They had magnifying glasses by the door to the gallery so you could take a closer look at the details. Really amazing stuff! I’m not one for ‘coffee table’ books but botanical art is different, because so many of our most beautiful plants are very small and these close-ups are the best way to see them (apart from in the wild, that is). PS That’s a really good idea about the magnifying glasses, I could have used those at the last exhibition I went to at the Cranbourne Botanic Gardens.